is the backend where you can manage your pages. .. or via Google Places for Business, provides their business information which is varified by SMS or postcard via snail mail from Google. Reviews from Google+ public members. 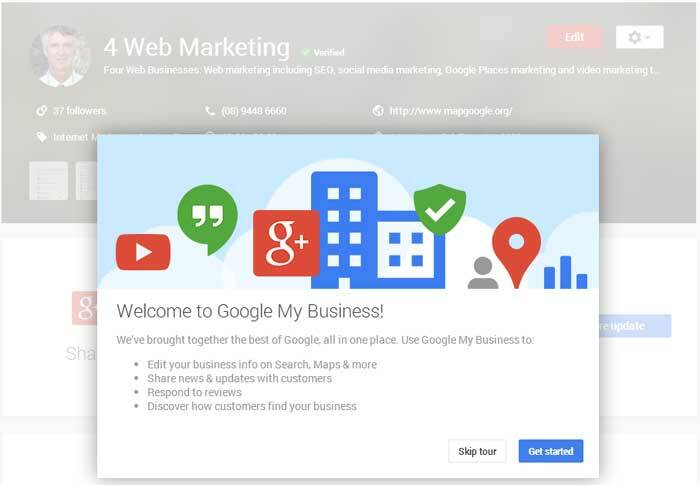 Example 4 Web Marketing's verified Google+ Local listing. Note the verified shield/tick next to my circular profile photo at the top left of the page. "Manage this page" is a path to "Google My Business"
Google Places marketing is free from Google. "4 Web Marketing" showing you how isn't. Google Palces show as linked pins on Google Maps and Google Earth. From the top right hand side of for example www.mapgoogle.org there are 2 sets of html. The top is a link you can copy to any zoomed in place on Google Map and for example add it to your email signature file or a link on a page. Example: My current location. Or you can copy and email the linke to show some a place on Google Maps. Tip: Rather than trying to remember a long URL for a commonly used map you and buy a domain name and point it to the long Goolge places URL. As mentioned, you can copy and embed the html code from the second option at the top RHS of Google Maps, into the html of a web page or html formated email. Pins on Google Places maps are free but if you're too busy to add your pin, we can, for a small fee. The fee depends on the content in your pin. If it's just some text like "ACME Co. here we are" Then $100 should cover invoicing, liason and actually placing your pin. It also depends of which Google map. If it's our www.mapgoogle.org, we can also add much more of your content included in the $100, but if you needed video production, that adds a minimum of $500 to cost of your pinned Google Places marketing. How to Get a Pin On Google Maps? For a start, to get a pin on Google Maps, you'll need a phone that Google can send an SMS to confirm you own that location. You can't have used that phone for any other Google Places marketing. You should have your phone on and ready to type the SMS'ed code into Google Places text box. You will not need any of this if you want your $100 pin on www.mapgoogle.org We are here to help you with Google Places marketing. We are NOT Google. You can either add you pin on Google Maps via Google Places or you can open your account with "4 Web Marketing" and then contact us with the STREET address or exact coordinants of where you want your pin and information you want showing once your pin is clicked. Also let us know which default Google Places pin you want or for a fee we can design a unique Google Places pin for you @ $200. Once your pin is listed with Google Places, it will show at the top of the list if it is the only pin in a particular location or if there are a number of pins about the same search phrase, in the same location, then good Google Places marketing will show your pin on top of page one of search results. 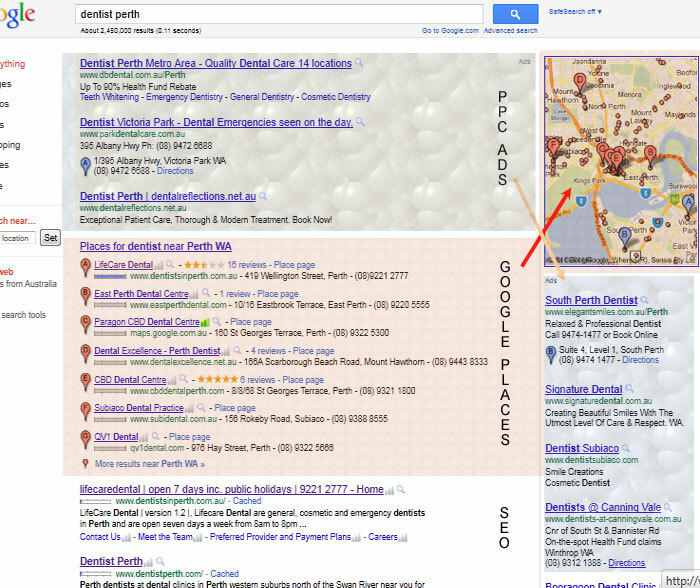 The best way to get good Google Places Marketing is to Contact Ben Grummels "4 Web Marketing's" Google Places Marketing customer service.